The way we look at it, we’ve been working through a recession in Michigan since the year 2000. And we’re doing just great, thank you. 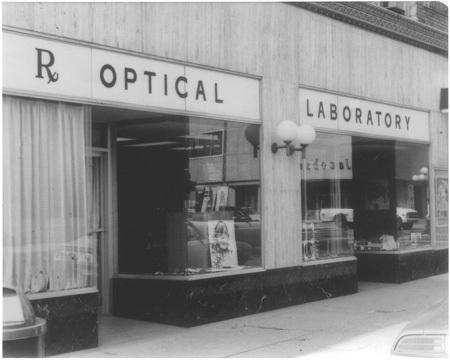 In fact, at Rx Optical we made significant investments in new technology before the dust had even settled after the proverbial “shoe” hit the fan in 2008. We have been betting on Michigan for over 70 years and we won’t stop now. We have been shopping local way before your favorite farm-to-table restaurant opened. And in our stores today, you’ll see seating solutions from Herman Miller and tables and fixtures custom-designed and fabricated by an artisan woodshop in West Michigan. We’ve always believed that making Michigan a part of our business, supporting our neighbors and the companies that are a part of their lives, was the right thing to do.